The new rules for dating in the digital age. The two women behind "The Rules," the dating Bible on how to play hard-to-get, have given their 1995 guidebook a reboot to help single ladies take back control of love lives lost to social media. 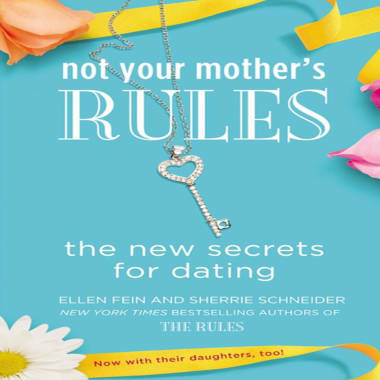 Texting and Twitter may not have existed when the original handbook came out, but “Not Your Mother’s Rules: The New Secrets for Dating” relays the same message now that "The Rules" did back then: be mysterious and you’ll get the guy. First and foremost, the authors (still) discourage women from initiating the first step in any conversation. Once a man does show interest, the Rules say you need to show some restraint. Wait a minimum of four hours before responding to a text message – and that’s only allowed if you’re in your 20s. If you’re 30-something, waiting at least half a day won’t hurt, according to the “text-back” guide listed in the book’s chapter devoted to texting. Fein recalled one woman who described how she lost her cell phone in a Bloomingdale’s dressing room. She found it a day later and discovered numerous text messages from a man she had wanted to pursue. The delay in her response landed her a date that very weekend, Fein said. “So take a breath. No one knows what you’re really doing. He won’t know if you’re busy or avoiding him,” she said. Be the first one to end the conversation, whether it’s a chain of text messages or Facebook chats. “Get out of there first,” Fein said. Limit your profile posts. Share as little as possible on Facebook or Twitter about what you’re doing between your dates, or the mystery can evaporate, Schneider said. The original “Rules” was a surprise bestseller, seized by women yet savaged by critics over its provocative advice on how best to attract the man of your dreams by following old-fashioned rules, such as never returning phone calls or offering to split the dinner bill. Schneider and Fein have written four sequels to the book, including a 2001 guidebook about online dating. But even back then, social media didn’t exist the way it does today. Since the release of their original book, the two women have served as consultants on the topic, dishing out advice daily to clients of all ages and training dating coaches.